Warwick Franks, in a dual book review in Spotting Traditions • vol. 15 no. 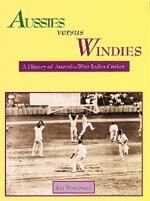 2 • May 1999 = of Ian Woodward: Aussies versus Windies: A History of Australia-West Indies Cricket. Walla Walla Press, Petersham, 1998. Appendices, illus., scorecards, stats. pp. vii + 260. $29.95…. 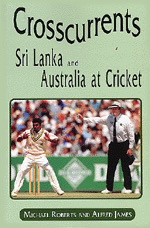 & Michael Roberts and Alfred James: Crosscurrents: Sri Lanka and Australia at Cricket.Walla Walla Press, Petersham, 1998. Illus., scorecards. pp. $50 hardback, $19.95 paperback…. with footnotes and illustrations inserted here by Cricketique. These two books represent a welcome widening in the perspectives on Australian cricket writing. 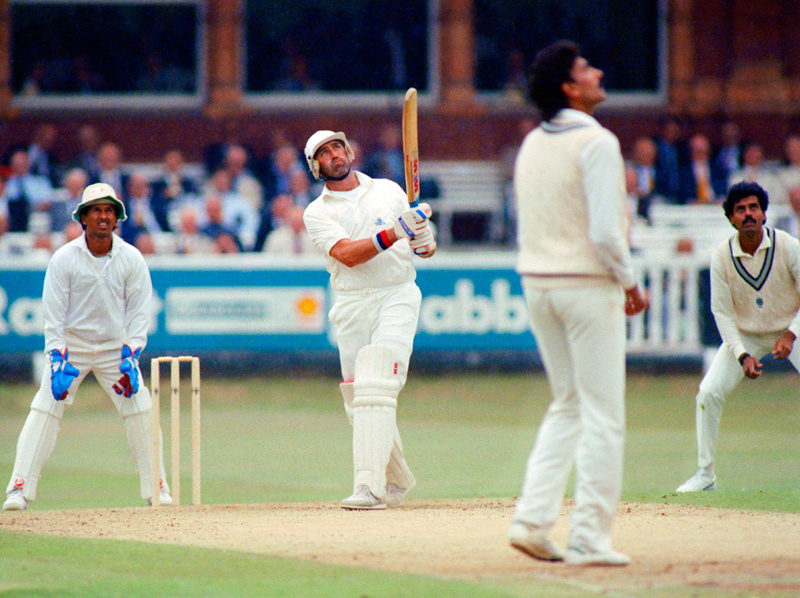 While the enthusiastic crowd response to the 1998-99 Ashes series underlined the special position of these matches in the ethos of Australian cricket, it is also obvious that there are many ways in which English cricket is increasingly marginal in the development of the world game. Yet such has been the concentration of Australian cricket writing on the Anglo-Australian game that Mike Coward’s Cricket Beyond the Bazaar(1990) has been one of the only books to go beyond the Lord’s-MCG axis. Read the rest of this entry ? 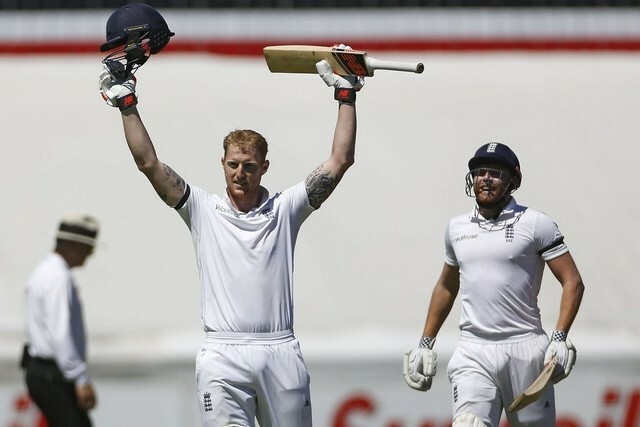 When Ben Stokes made 258 against South Africa in Cape Town in January 2016, he became the second Englishman in three months to have made 250-plus in a Test innings. Alastair Cook scored 263 against Pakistan in Abu Dhabi in October 2015. This is very unusual for England. The last time two of their batsmen made such big scores in such a short period was in the home series against West Indies in 1957, when Peter May made 285 in the first Test and Tom Graveney 258 in the third. Sports fans are constantly reminded that it’s easy to talk from the comfort of their armchairs while it’s very difficult out there on the field. No doubt, that’s true. However, there are occasions when it seems that players, either wittingly or otherwise, are unable to see things that are obvious to those watching the game. I’d like to mull on a few such instances – not to score points one way or another, but just to air them and evoke some reactions. But where can these players go from here? The A team is nearly defunct, the first-class league weak, and the contracts issue is destroying the senior side. Their teenaged team has brought a welcome, long overdue whiff of optimism to West Indies cricket. In advancing to today’s final of the Under-19 World Cup in Bangladesh, they have demonstrated a resilience that, for multiple reasons, has been repeatedly beyond their seniors. It will be severely tested in the showpiece climax by India, the one remaining unbeaten team in a tournament otherwise marked by its unpredictability. West Indies Under-19s ended up stunning over 10,000 fans at the Shere Bangla Stadium by chasing down 227, with three wickets in hand, in an anxious fashion against Bangladesh Under-19s in the semi-final of the Under-19 World Cup. West Indies were cruising at 147 for 3 and seemed to be buckle under pressure after captain Shimron Hetmyer fell for 60. They lost two more wickets for 34 runs but were salvaged by Shamar Springer‘s unbeaten 62 after his incisive spell of 10-0-36-2. 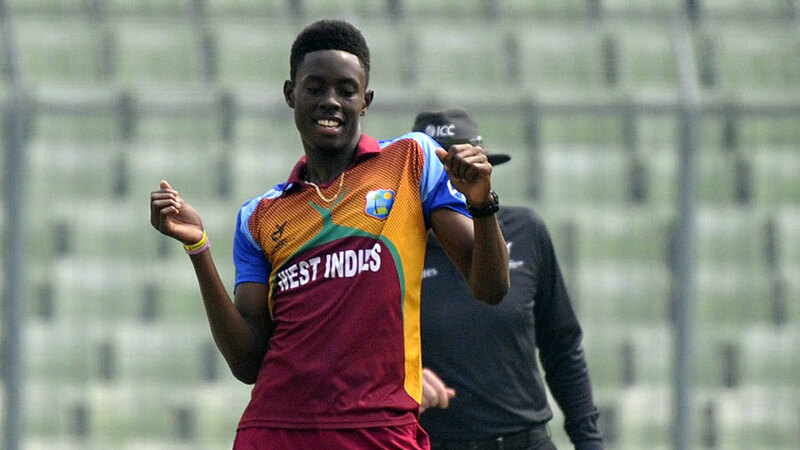 West Indies will make their second appearance in an Under-19 World Cup final when they take on India Under-19s in Mirpur on Sunday. Read the rest of this entry ? The pole-thin co-operative: Sri Lanka unearthed a skinny quick with serious potential in Dushmantha Chameera last year. In this match, Chameera may have played a role in finding another just like him. The second ball of Kasun Rajitha‘s career stopped slightly on Rohit Sharma, who spooned the ball just wide of the bowler. Chameera made quick ground moving to his right from mid-off, and dove athletically, both feet off the ground, to secure the catch. That first wicket sent Rajitha into raptures, and he would go on to set the tone for the innings with four more excellent balls in that over. Kasun and Dasun. Two raw young and unknown pacemen. They sliced the formidable Indian top-order of batsmen apart, spiking a poor total of 101 which Sri Lanka reached in relative comfort. That line of emphasis is striking… eye-catching and sensationalist. It is only a part-truth. As with most cricket outcomes it took many factors to come together to craft Sri Lanka’s unexpected win – unexpected because Lanka were/are without Mathews, Dilshan and Malinga. Many will point to the crucial winning of the toss and the Sri Lankan think-tank’s wise decision to bowl first. Yes, two crucial elements in the final outcome. You are currently browsing the Critiquing Cricket blog archives for February, 2016.